If you thought that court canteens are only a place to eat, drink and buy the newspaper, think again. The court cafeteria is one of the most exciting place for a litigator. It is not just a place for repast but for learning, friendship and thanks. One of the best places for a lawyer, or more precisely a litigator, to learn their craft, to soak up the finer intricacies and subtle nuances of the law, and engage those better than us in the art of legal practise is not the library (Bar Council or otherwise); not the Bar room (a room exclusively for lawyers in courts); and not even the courtroom (whichever level). That place is actually the court cafeteria. 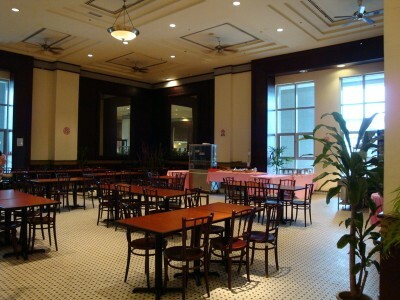 As cafeterias generally allow for the purchase and consumption of food and drink (though regrettably not affordably priced alcoholic beverages); a place to smoke; a place to let the full range of your voice be heard; a place where tables can be thumped emphatically to make that argument that was less eloquently made in court but suddenly finds fluidity when paired with a steaming cup of teh tarik; where no subject is taboo or barred from the most penetrating scrutiny and speculative hilarity; where legal argument might suddenly erupt right next to you just as you were about to recount your terribly interesting substituted service application; and where modular tables and chairs are easily available and arranged to accommodate the few to the many; all these fine attributes magically transform this humble cafeteria into one of the most superior premises conducive to deep and often fruitful legal discussions. And properly, to argue one’s case too passionately in the court cafeteria with one’s opponent is akin to engaging in a sword fight in a house of worship – thoroughly improper. The court cafeteria is sacred ground, as places dedicated to learning should be, or mildly encourage it at least. Though it is conceded that such an environment is equally vulnerable to invite if not encourage discussions of utter frivolity, depravity and shallow mindedness that would, as a matter of course, be devoid of legal interest. The court cafeteria is not just an institution of higher learning but advanced learning. It is here that we will learn what we will never find in books no matter how many times we read it; here that we will find there is more to legal practise than simply knowing our law and how to argue it well; here that we may find some of the most elegant and succinct summary of an entire area of law, if we are patient and interested; here that we will find some of the great lessons about law and legal practise, even better, sometimes life even over a seemingly innocuous breakfast; and best of all, if we are fortunate, to make a true and trusted friend amid the battles we must daily wage against each other. The stuff of this court cafeteria institution is the litigators themselves. Though the courtroom is a battle ground where only one can emerge victorious; and though litigators may be battle hardened, ruthless bastards in the courtrooms, as far as they are legally permitted to be (but not so crudelah! ), they are often the complete opposite in the court cafeteria – warm, welcoming and generous with their time, knowledge and sometimes expense. I personally don’t think I have come across any lawyer who has been reluctant to share their knowledge with me. If they don’t know, they will often try their best to search out who can and the terribly keen ones will even undertake to look it up for you! These qualities make the court cafeteria the institution of learning for those who seek to improve their abilities and knowledge. But it is important to understand that this institution of learning does not simply present itself to you so brazenly like a power point presentation and you hold the remote. It is not so obvious. In fact, it is quite ethereal until you are able to realize and recognize it, then it solidifies as learning. My imagery of this is of incompetently attempting to catch butterflies with a big butterfly catching net. The easiest way to learn is to be sociable, polite and inquisitive. If you are a litigator, another litigator is the easiest person to talk to. Both of you have something in common. Both of you have cases in court. Most litigators enjoy talking about their cases (whilst respecting client confidentialities, of course) sharing the problems or legal issues of the cases they are on or what transpired for their case that morning. If we listen to how they dealt with an issue, understand the logic of their argument, how they engaged with the judge during the hearing, all this is up for consideration. If we share ours and listen to their response, there is good to be gained from there as well. The lessons learned here teach us what to do with ropes of practice, so we don’t end up hanging ourselves, so to speak. We learn about the temperament, habits and peculiarities of judges, registrars and court staff all around the country. We are kept up to date about the development of not just the court machinery, procedures and the ins and outs of court and the temperaments of its staff, but the law as well. We learn about what cases are pending, what issues of law await decision in the Federal Court or Court of Appeal. This is useful especially if we have cases that deal with similar law-fact issues. We have the opportunity to test the veracity and logic of our arguments with our learned friends. We discuss how it could have been argued and look forward to testing those arguments when the opportunity presents itself. We may come across certain areas of law that were before unavailable to us. We know and hear of our fellow litigators, of their reputations, of their failings, of their triumphs, we enlarge our social circle. Learn of our traditions and practices. Where and when else do you get to meet your juniors, peers or seniors, all in one place – sometimes the best of them seated altogether? Where else do you have an array of opinions for your harvest on a legal point troubling you? 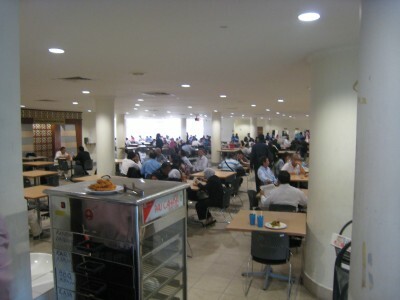 But there is more to the court cafeteria to the life of a litigator. Though it may appear a place of leisure and repast, it is sometimes a place where we have to carry out our work, especially when it comes to the settling of court cases. It sometimes facilitates it. It sometimes provides them with some space (no matter how meager and lacking in privacy) to reconcile with others or even themselves. Sometimes a face to face over a teh tarik was all the litigants actually needed from the start, but were too proud and so wrought an awful litigation upon each other. So if you see a table of people looking serious, best steer clear. Those are most likely people trying to work something out. The court cafeteria is also sometimes the only place where some people are able to express their thanks. I have done cases for impecunious families where though they are financially strapped, still wish to express their thanks with more than a handshake. The cafeteria often gives them an avenue for that. A plate of chicken rice may not seem much to us but it means a lot to them. And at the end of the day, it’s the chicken rice that counts. But that, of course, doesn’t mean we ask for a second helping. Or not go back to our offices. Posted on 22 January 2010. You can follow any responses to this entry through the RSS 2.0. In fact, on the 2nd day of my long scheduled trial, my client decided to accept the defendants' offer to settle. What we did? My worthy opponent and I sat in the same cafeteria from 9.30 am to 12.25 pm, only to record a Consent Order at about 12.45pm before the Judge who had patiently waited. So, canteen is also a place for….reconciliation! Is it also fair to say that the cafeteria is also the place where a lot of money changed hands under the table to pervert the course of justice?